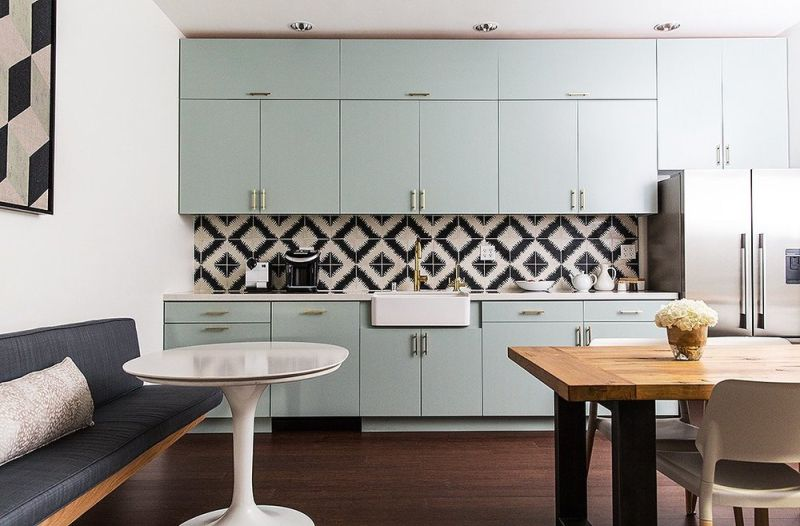 2019’s most practical interior design trend will help you get the most out of small spaces! 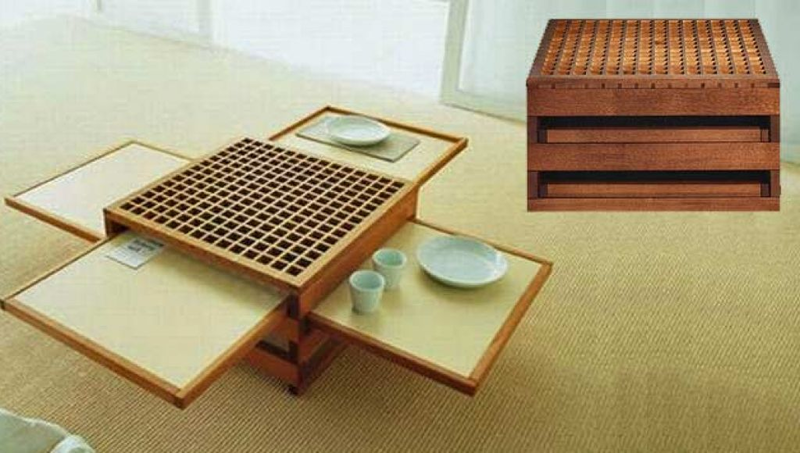 Compact, multifunctional furniture solves a problem faced by millions of home-owners- that of storage woes in cramped spaces. Extendable dining tables, neat storage racks that convert to full cabinets, lamps that also function as shelves for decor props or stylish ottomans with discreet storage are examples of versatile furniture that can adapt to your changing needs. This year, make a one-time investment and remake how your furniture interacts with your space so there is more for storage and more for you! 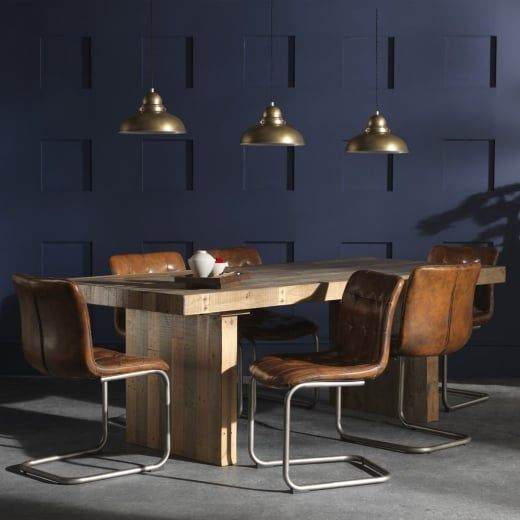 The synergy of wood, leather and metal accents in interior design creates a timeless composition. 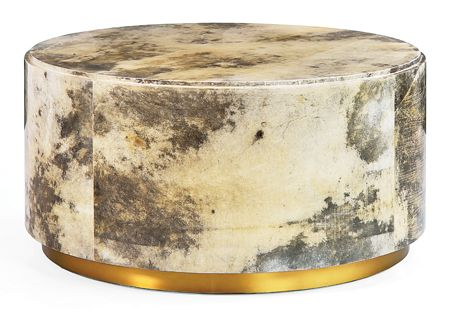 Weathered leather with metal accents looks perfect when trying to achieve an opulent, luxe feel.When paired with wood and leather, metal stands out while creating a harmony owing to the dull finish of the two materials. 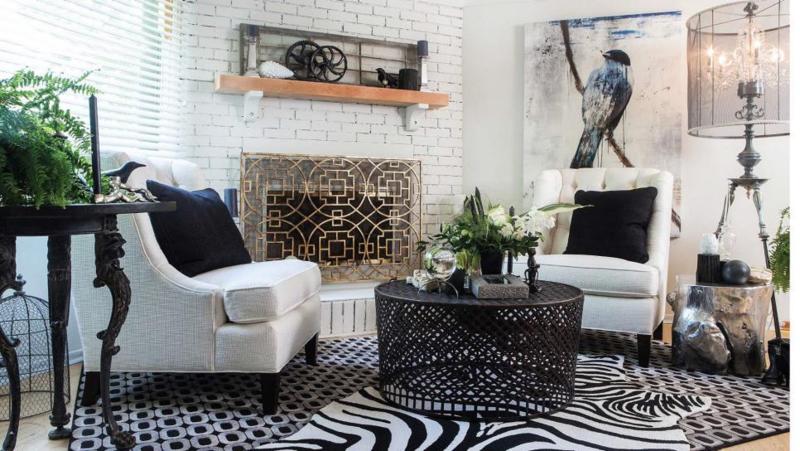 Choose home accents with a metallic finish and watch them blend effortlessly with leather or wooden furniture. This year, we won’t count indulgence as a vice! 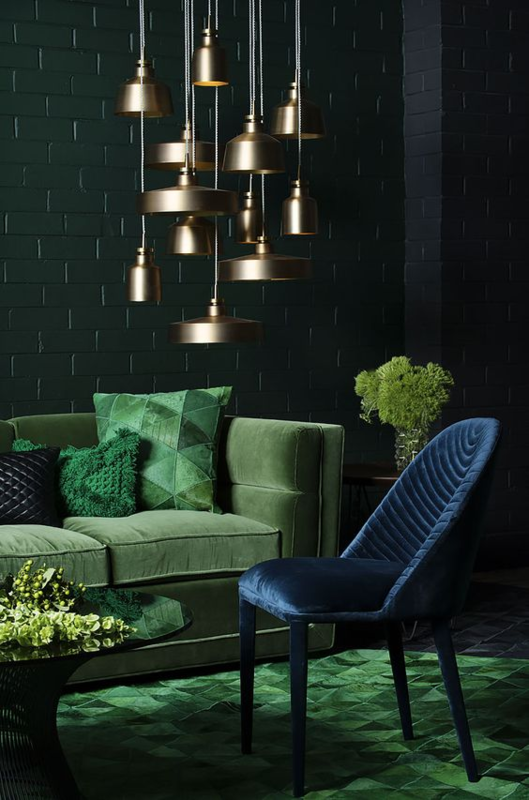 Rich jewel colour tones like indigo, emerald green and topaz crimson are set to make interiors more lively and inviting. Splashes of these rich and luscious colors add instant energy with a spell of drama! 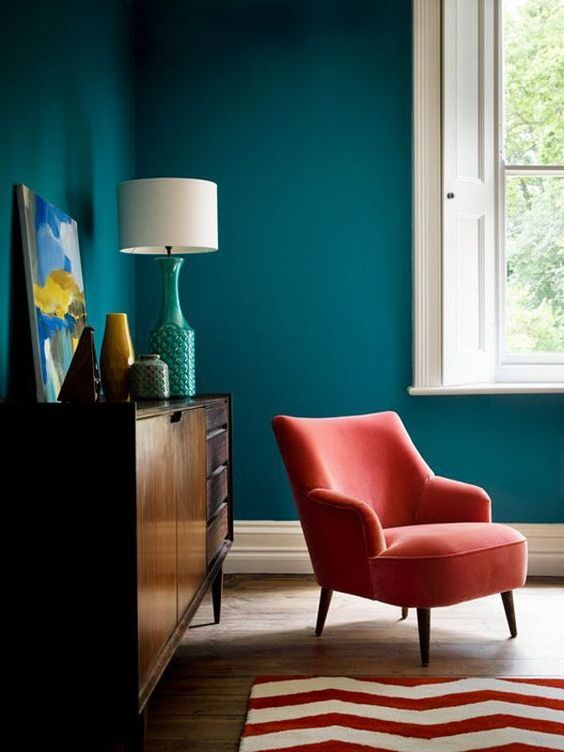 You don’t have to start on a large scale by taking up re-painting of your home, start with small swaps like bringing home a gorgeous dyed rug in a jewel-tone you fancy! 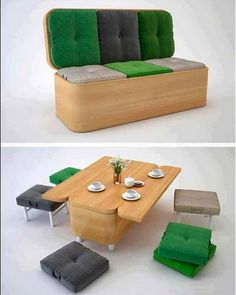 If you’re looking for a DIY furniture facelift, refurbish your existing furniture with exuberant colours and watch it grab eyes. Jewel-toned curtains, cushions or even a duvet can instantly uplift your interiors. But remember to not overdo, as you want to retain the homely vibe of your home! 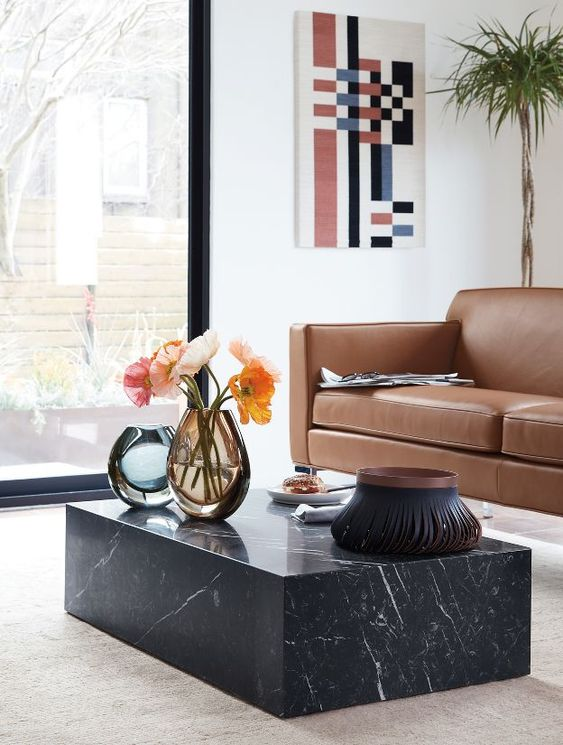 With Scandinavian minimalism taking a backseat this year, the living room decor staple Coffee Table has changed. Plinth tables with a low height and chunky, solid silhouette create harmony with the rest of your furniture layout. 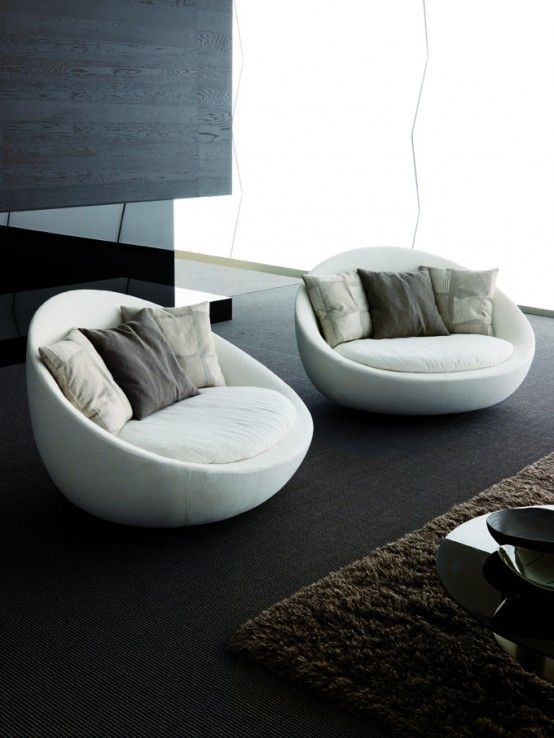 The block-shape makes it suitable for both small and large spaces and works with all kinds of decor statements. Florals have set a classic niche in interior design and decor, proving year after year that you can’t go wrong with the floral aesthetic! 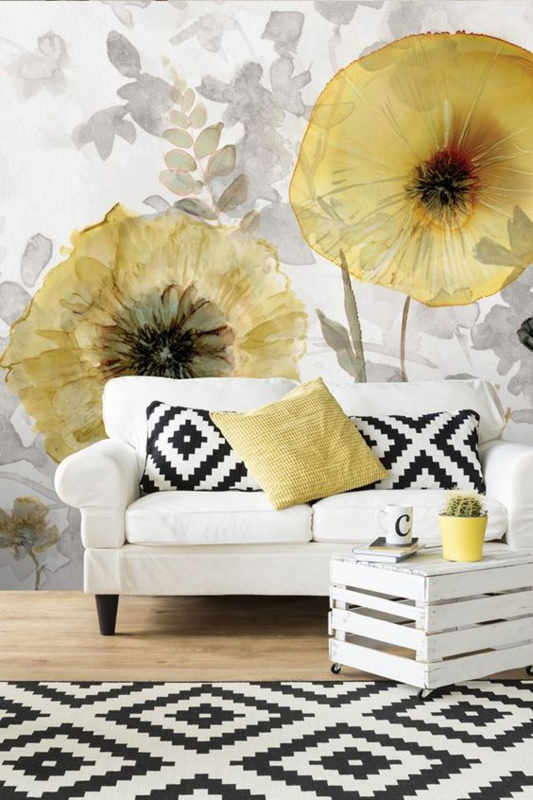 This year, florals take a leap from summer ensembles to gracing fabrics and wallpapers for interiors. Maybe the maximalist trend from 2019 is to blame but who’s complaining? Expect floral sofas and wallpapers exuding a delicate or boisterous vibe, choose a theme depending on your personality. 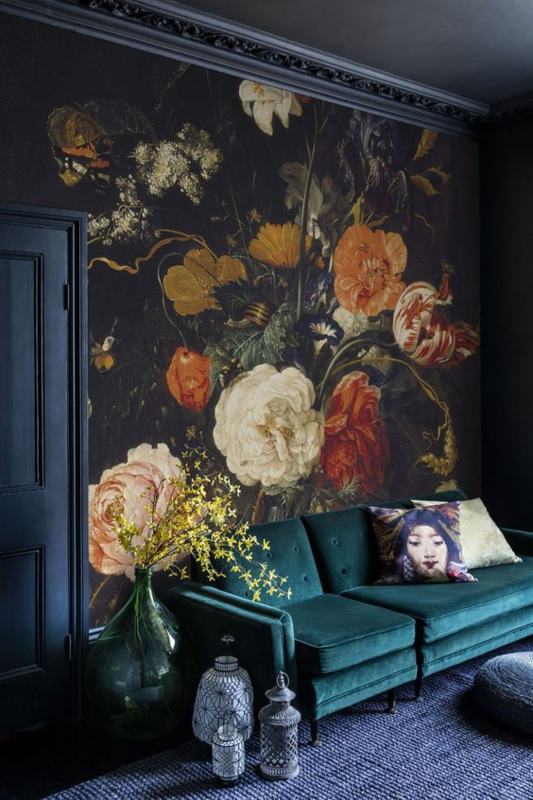 If major floral elements do not visually interest you, start with incorporating small floral home furnishings to add bursts of whimsical energy. You can achieve so many different looks using florals. “Feminine” is only one of them. Shed all inhibitions and choose from hundreds of floral patterns in all hues and tones and get with the decor trend! 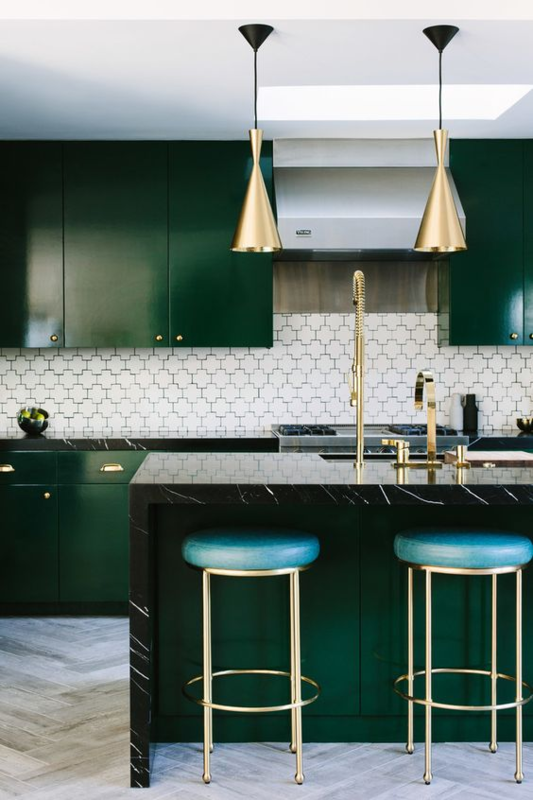 You may think your kitchen doesn’t need a renovation but trust us, you will want one when you see this year’s sizzling pick-me-up trend! 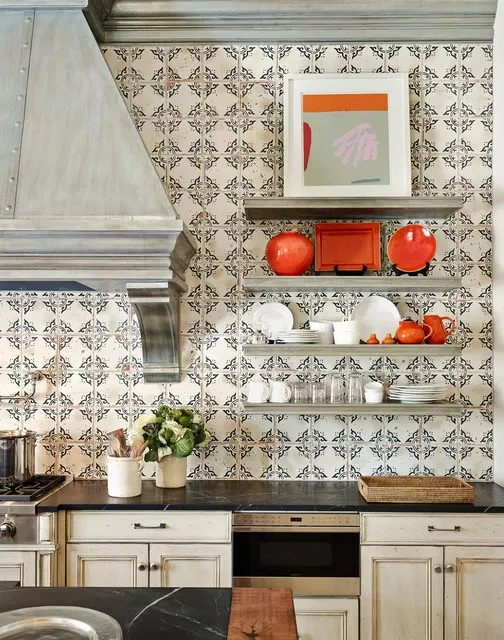 Let go of the neutral tones or dual-tone scheme and create an engaging backsplash that will make your kitchen more appealing. It is unbelievably easy to re-do and extremely cost effective when compared to re-doing the whole kitchen. Browse through hundreds of exclusive kitchen tile designs with Atom Interiors, leading interior designers in Bengaluru and create a pattern or mosaic backsplash to brighten up the kitchen. The basic idea is to extend decor to kitchens that are considered to be tedious and pricy home makeovers. Dual toned metallic home decor is having a front-page moment this year! Choose a dominant metal and then select complementing metal accents to pair with it. Too many dominating elements will create visual chaos. 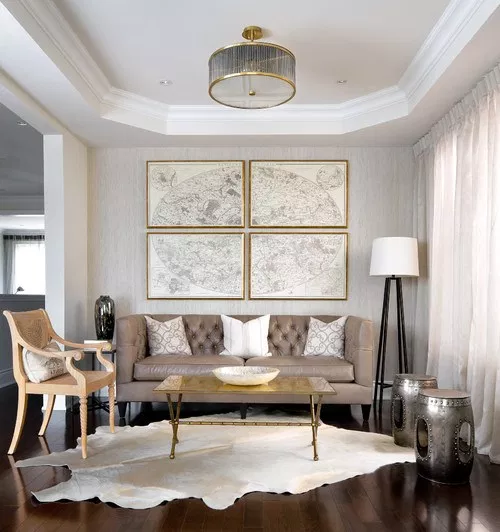 Pair cool toned metals (silver, chrome) with cool colors like blue, grey, green and warm toned metals (like gold, copper) with warm colors for a pleasing colour palette for your living room. Bring in the metal mania to your home starting with small settings like metallic mirror frames, lampshades or fine silverware put on display. 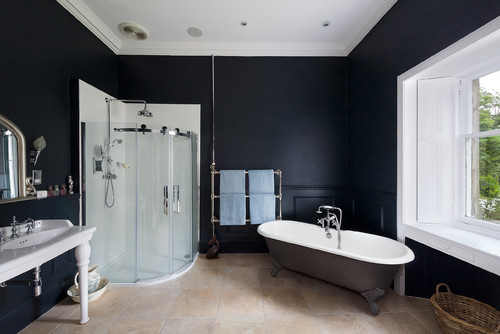 Leisure spaces like bathrooms are bending towards darker hues and what’s better than black? 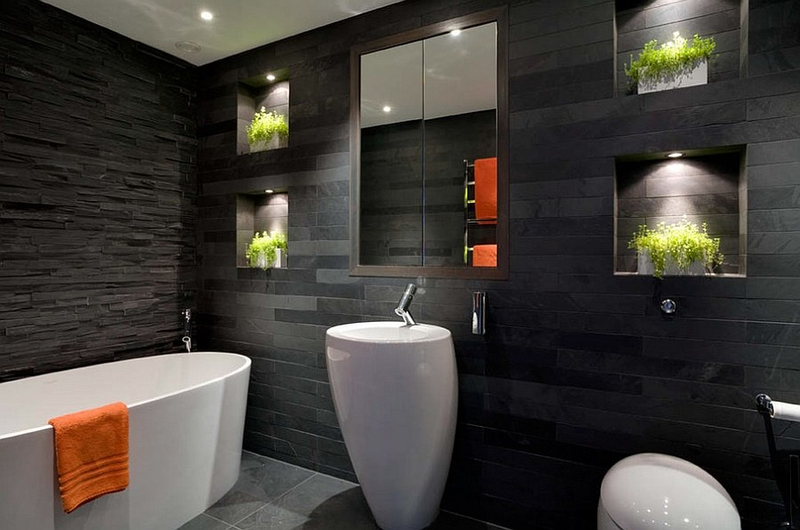 Black has a way of reflecting splendor when paired with steel bath fittings. If whites and greys were contemporary typicals, that is now set to change! 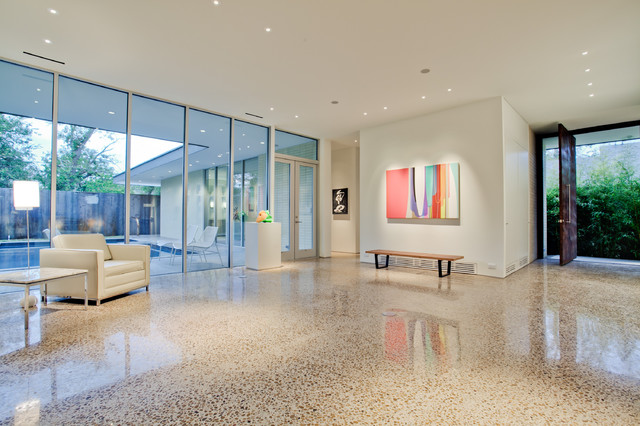 It is of no surprise that terrazzo surfaces will become popular this year, owing to its durability and unique patterns. 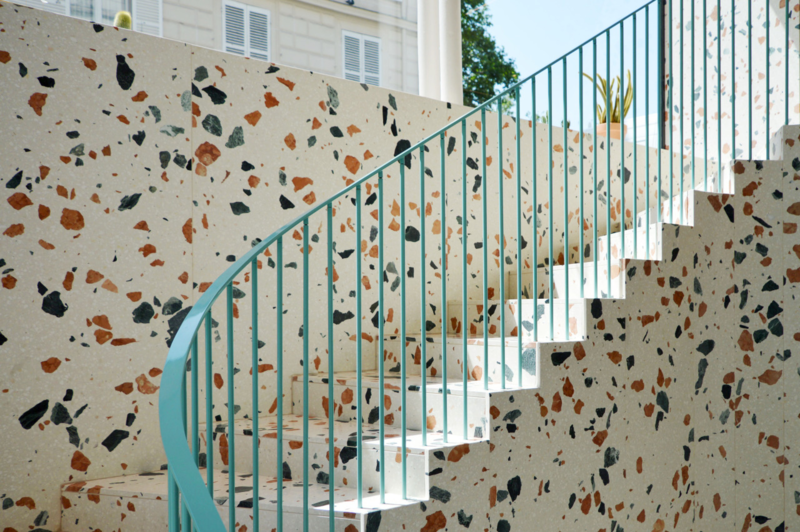 Dating back to the Renaissance, these are made from chips of marble and granite that is placed in resin or concrete. This super sustainable material has a chipped, colorful design and its prints are being turned into wallpapers, ceramic mugs, kitchen tops and even rugs! The abstract pattern blends in easily and comes in a very large range of prints and looks great on floors and countertops. 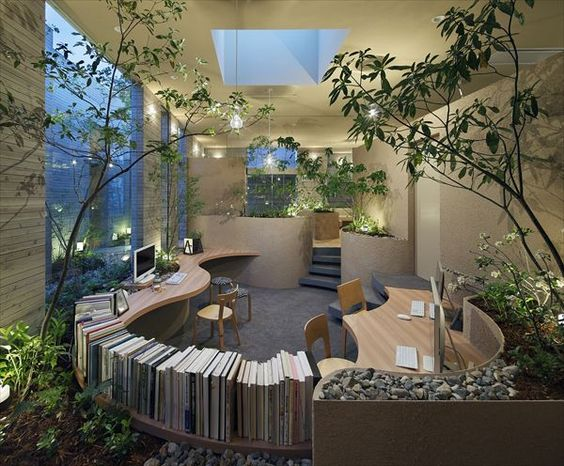 People spend a major chunk of their day working in offices. Hence, it is essential to achieve a sentiment of mindfulness within workplaces. 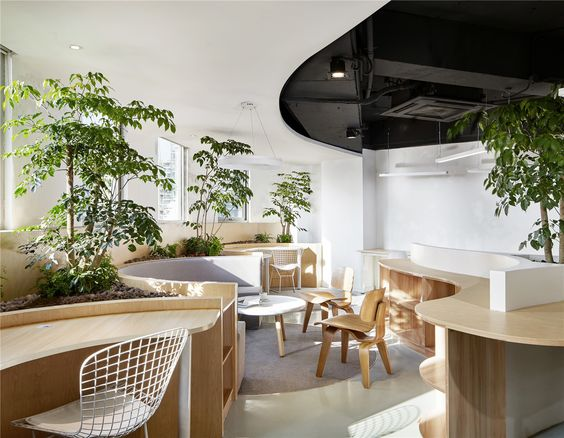 Offices across the world are shifting from a functional decor to a more tranquil zen style that optimizes productivity. Neutral tones, furniture that aids rest time, soothing recreation spaces and even yoga/meditation areas are being widely embraced! 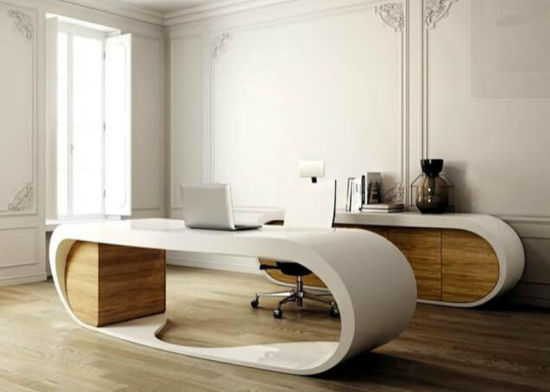 Taking a break from crisp lines, 2019 will see a surge in rounded furniture adorning interiors. Curved swivel chairs, tufted ottomans, even curved arm sofas add a flowy aesthetic to otherwise solid, geometrical furniture. Inspired by the 70’s style, retro pieces are making a comeback for sure. You can add oodles of charm to your home by exploring Karpntree range of vintage furniture that will surely stand-out in your home! A trend that’ll have your guests’ looking to the Gods? Yes it’s here and it’s Statement Ceilings.Ceilings have a seizable area that is often ignored! 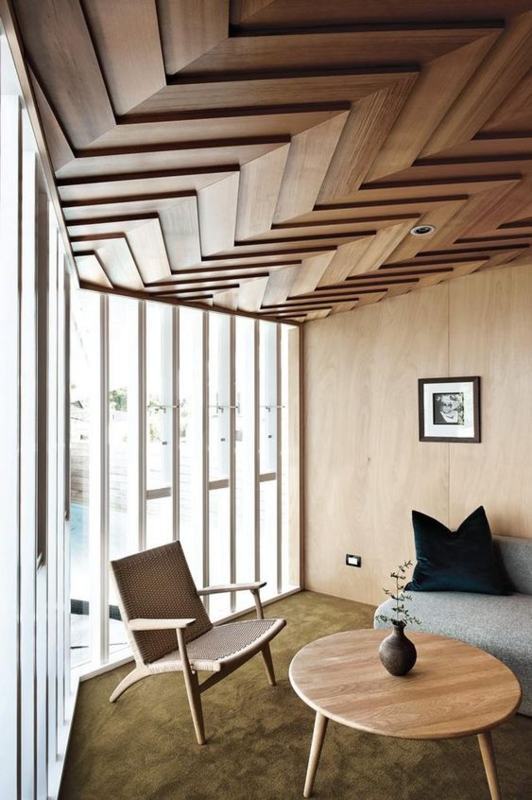 Playing with paints and textures on the ceilings, creating a faux support beam look or covering the empty ceilings with tiles, wood panels or even pasting pretty wallpaper prints is a great way to add some fun to boring ceilings. 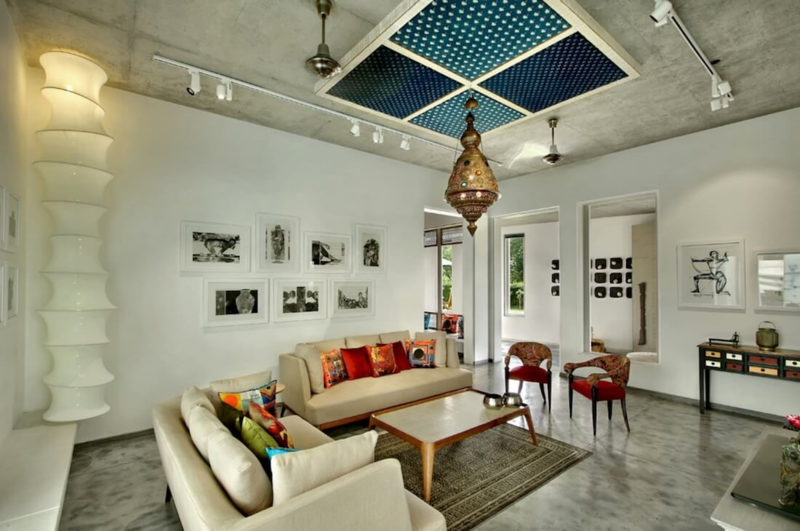 Add a dashing lighting fixture like a chandelier to it and you have a sprawling artwork right above your head. This year, leave no surface undone! With retro styles like the rounded furniture making a comeback, florals getting bigger than ever and bathrooms getting out of character from clean white functional spots, 2019’s trends are set to flourish! Beautiful abstract prints, the synergy of diverse material and even offices looking for “inner peace” will be some major design inspiration! Pay attention to the energy of your house, for it should be inspiring and energizing. Seek some inspiration from these fabulous trends and add some of your panache to liven up your home for a fresh new start!